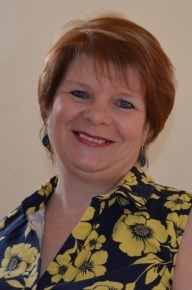 A bit about me … I’m an NLP Trainer, Coach, Nutritional Therapist and Hypnotherapist. My areas of speciality are positive mental health and change management. My key role as a Coach is to help people and those that care for them through anxiety, depression and other related mental health challenges. I do this through, public talks, 1:1 coaching, group focus courses, workshops and a monthly club. As well as my professional qualifications I am a ‘Mum on a Mission’. Many years ago one of my children developed mental health challenges, I was constantly on the look out for anything that might boost her confidence and happiness. I have adapted and tweaked many techniques and strategies that I have taken from all sorts of therapies to work better with reducing anxiety. I have also learnt the hard way the importance of looking after myself …. On an aeroplane they always say to put on your own oxygen mask first! This is so you can be more effective at helping other people once you have done so. I look forward to meeting you soon at one of my live events.